Information and communication are two of the most important strategic issues for the success of every enterprise. While today nearly every organization uses a substantial number of computers and communication tools they are often still isolated. While managers today are able to use the newest applications, many departments still do not communicate and much needed information cannot be readily accessed. Computer networks allow the user to access remote programs and remote databases either of the same organization or from other enterprises or public sources. 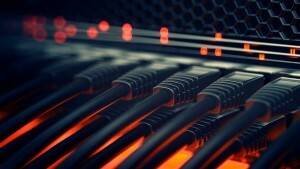 Computer networks provide communication possibilities faster than other facilities. Because of this many costs can be reduced by not having to reinvent the wheel when it comes to information handling and processing. Cost reduction by sharing hardware and software resources. High reliability by having multiple sources of supply. Cost reduction by having instant access to information sources. Greater flexibility because of possibility to connect devices from various vendors. Because of the importance of this technology, decisions of purchase, structure, and operation of computer networks cannot be left to technical staff. Management as well has a critical need for understanding the technology of computer networks. We can help to make sure you not only have a functioning network, but a network that makes doing what you do better. Whether you are connecting across the room via a wired network, across the building with wireless, or across the street or county with fiber and air-fiber technologies we can help you to get it done. Contact us today and let’s talk about it.